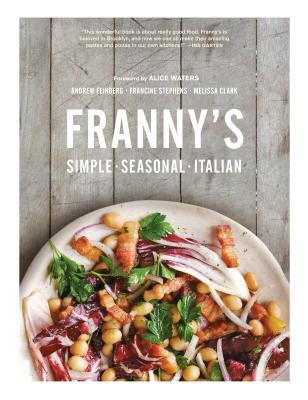 Andrew Feinberg and Francine Stephens are the owners of Franny's and Bklyn Larder. They live in Brooklyn with their two children, Prue and Marco. Melissa Clark is a food columnist for the New York Times and a bestselling cookbook author. Melissa Clark is a food columnist for The New York Times and a cookbook author.